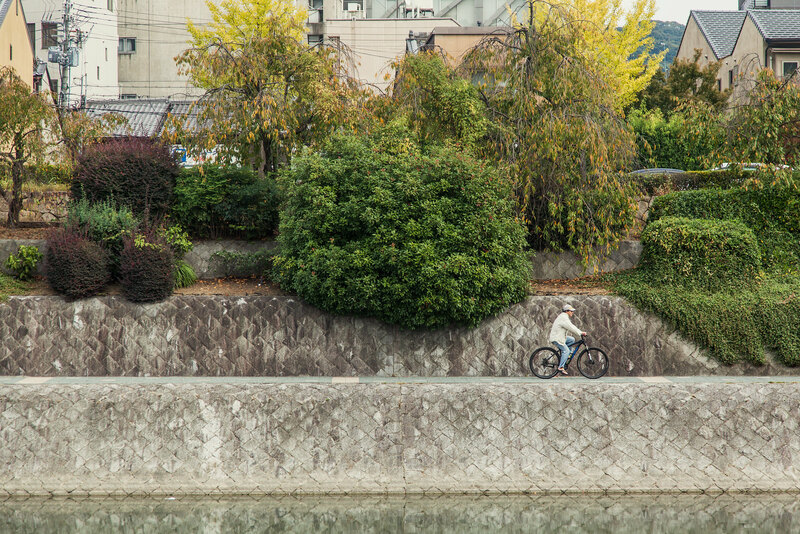 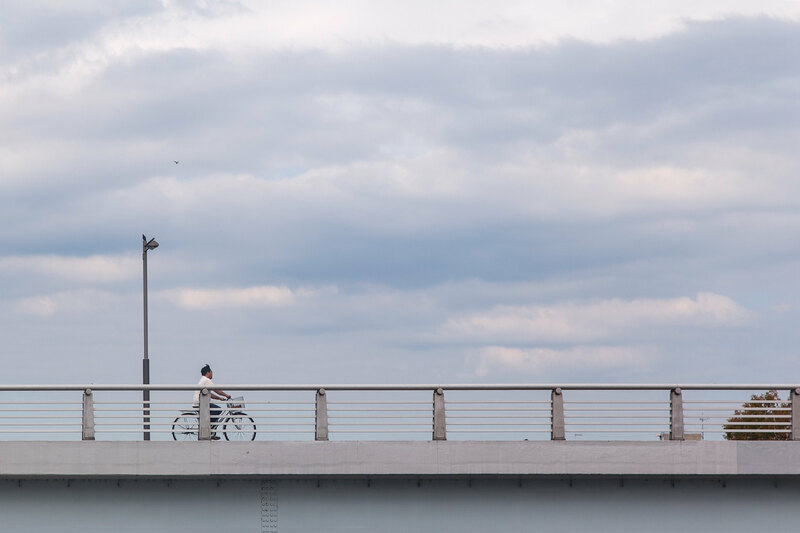 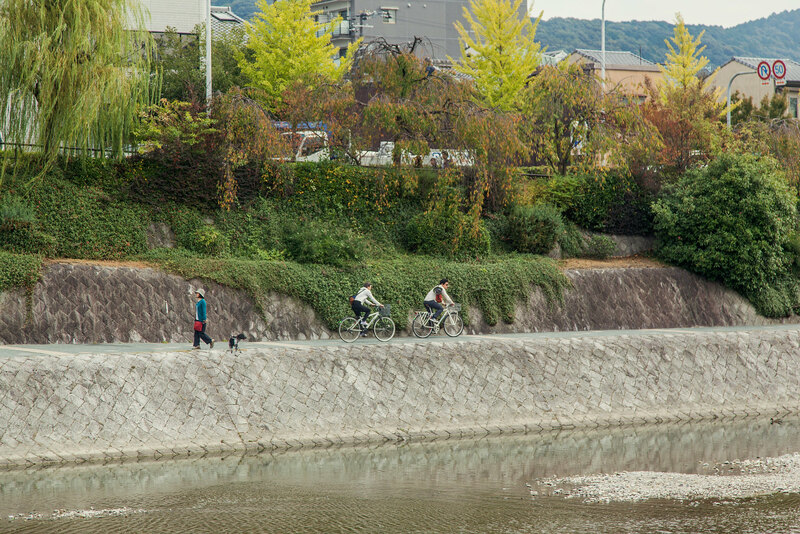 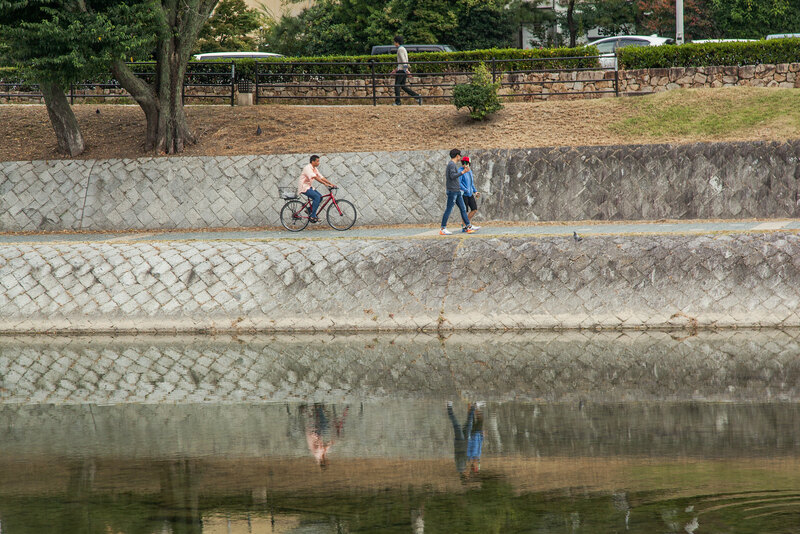 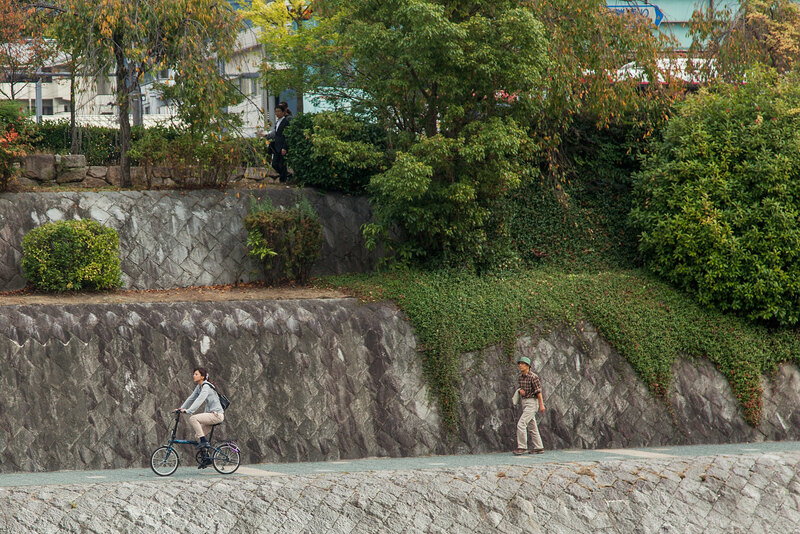 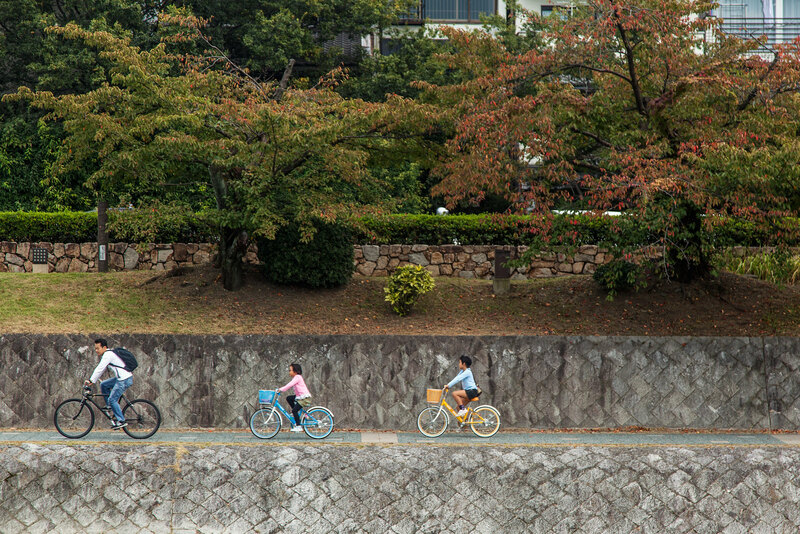 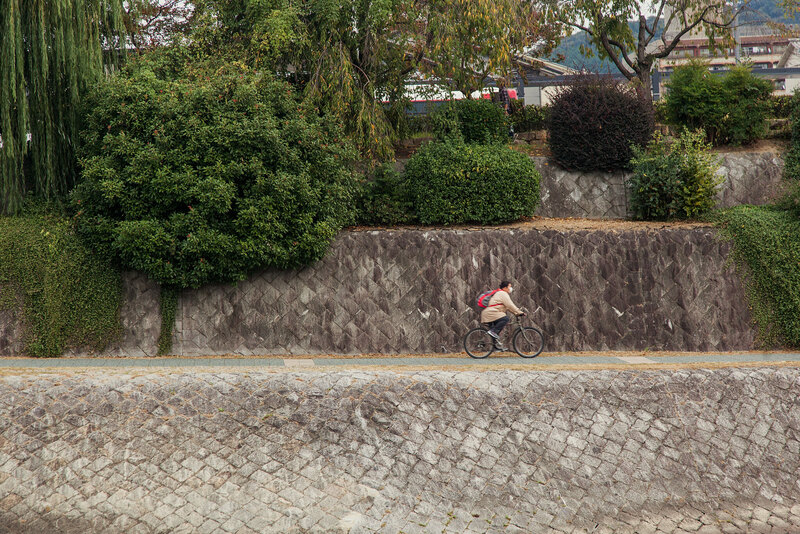 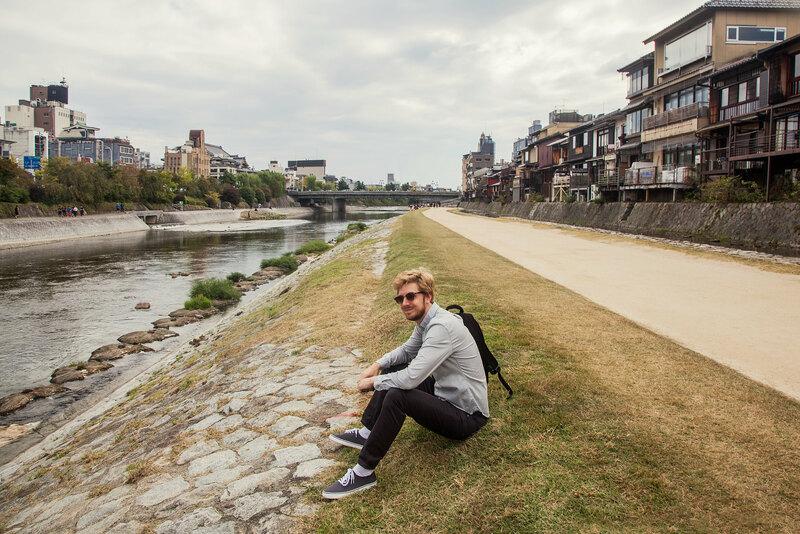 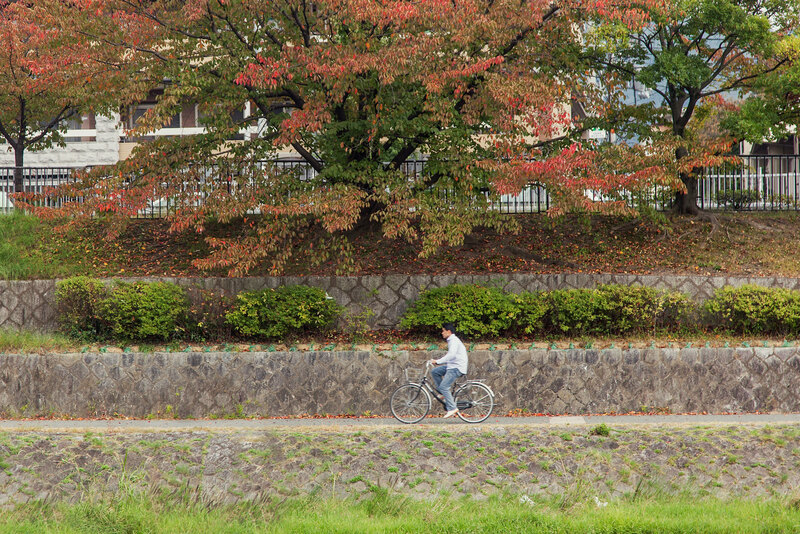 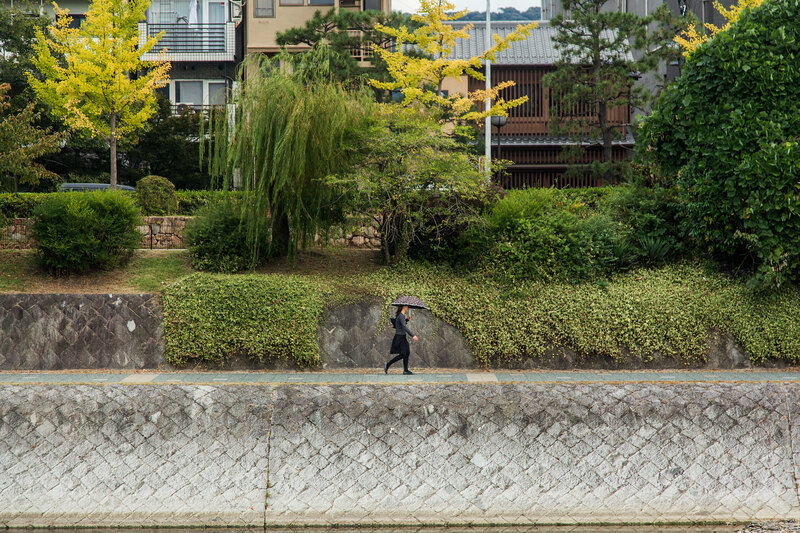 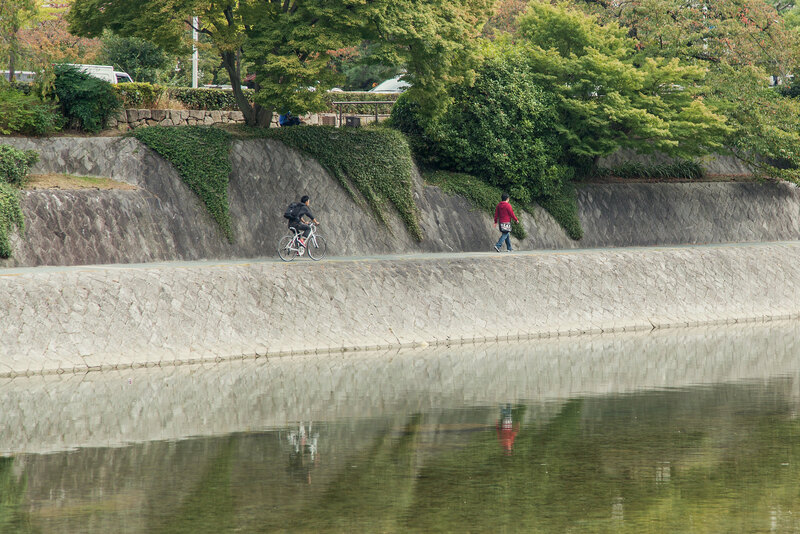 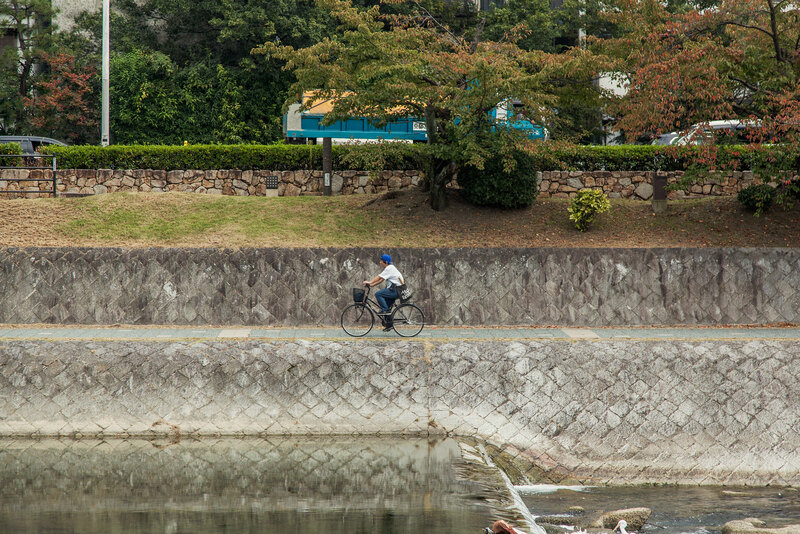 While bikes seem to be the preferred method of transport for the residents of Kyoto, we opted to explore on foot. 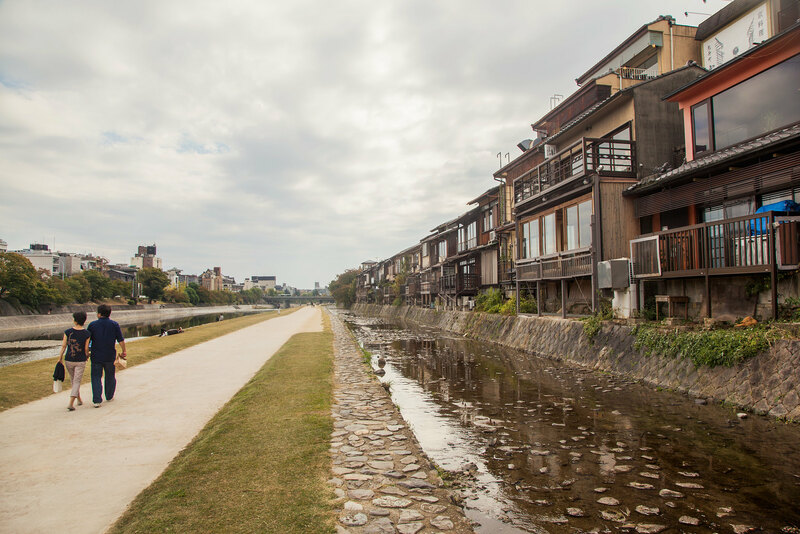 A popular place for a leisurely stroll and/or a picnic is on the banks of the Kamo River. 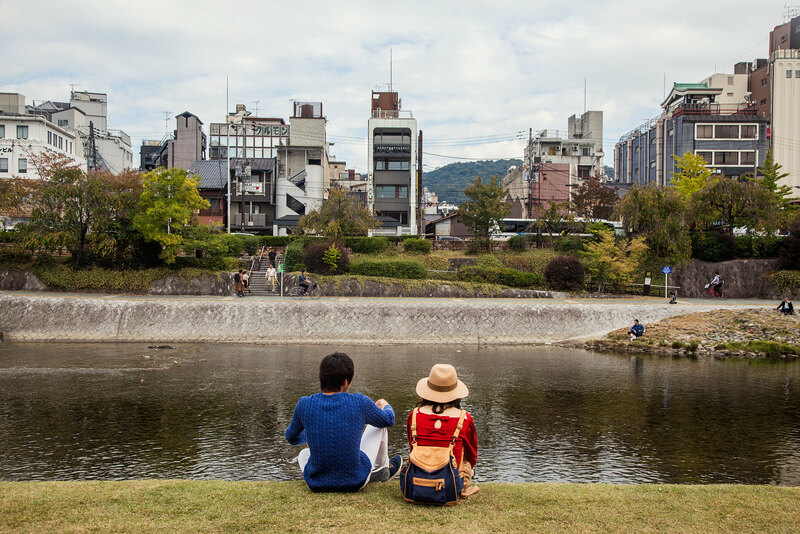 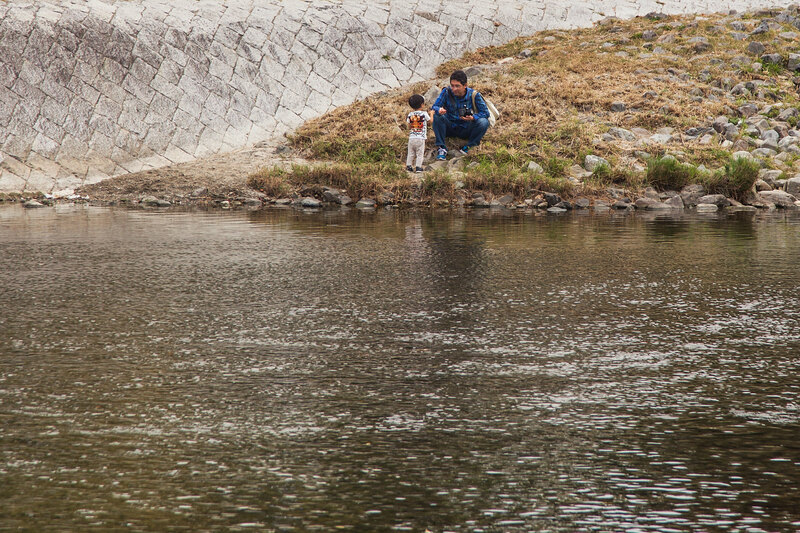 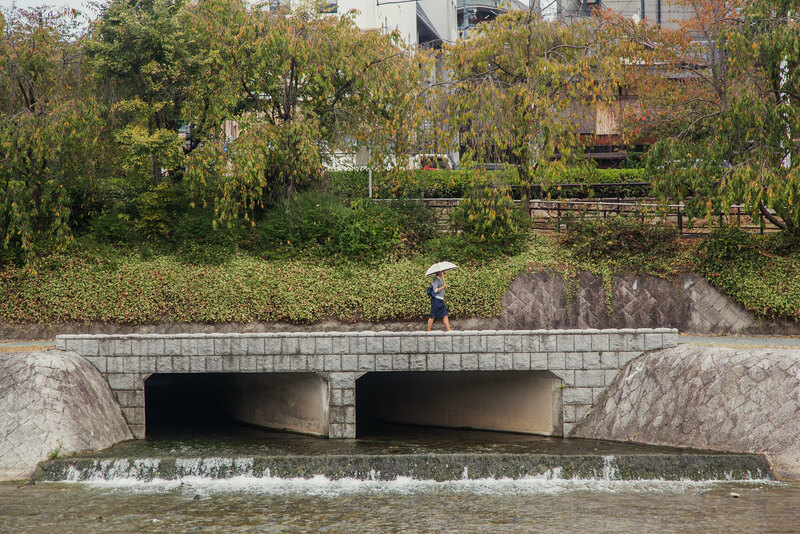 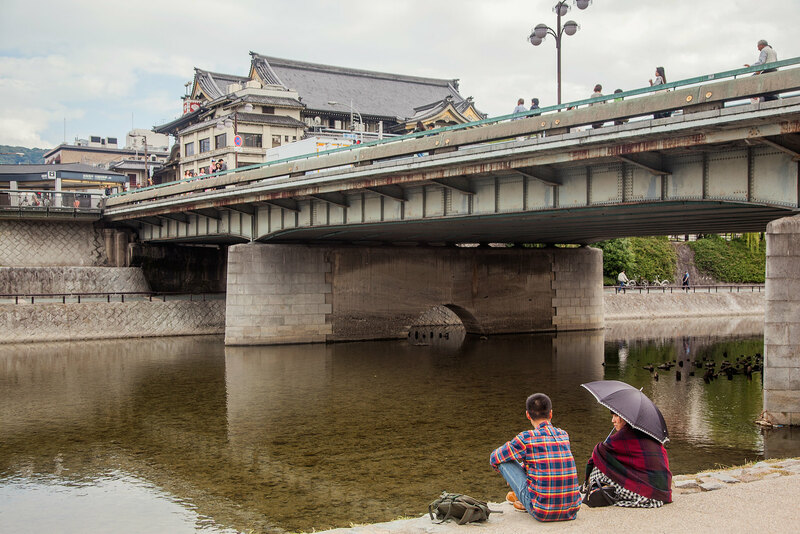 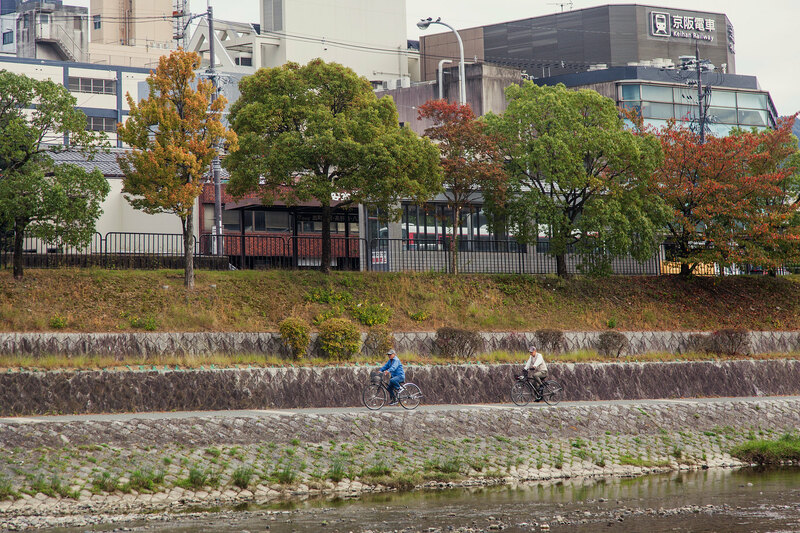 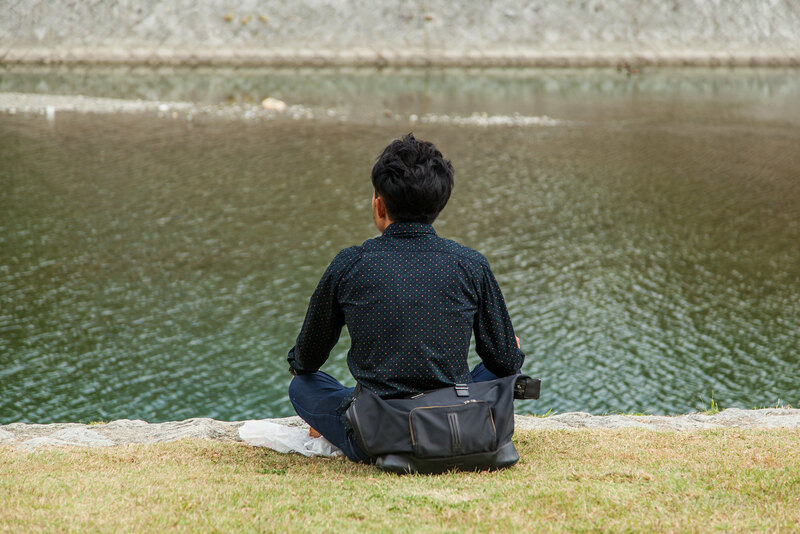 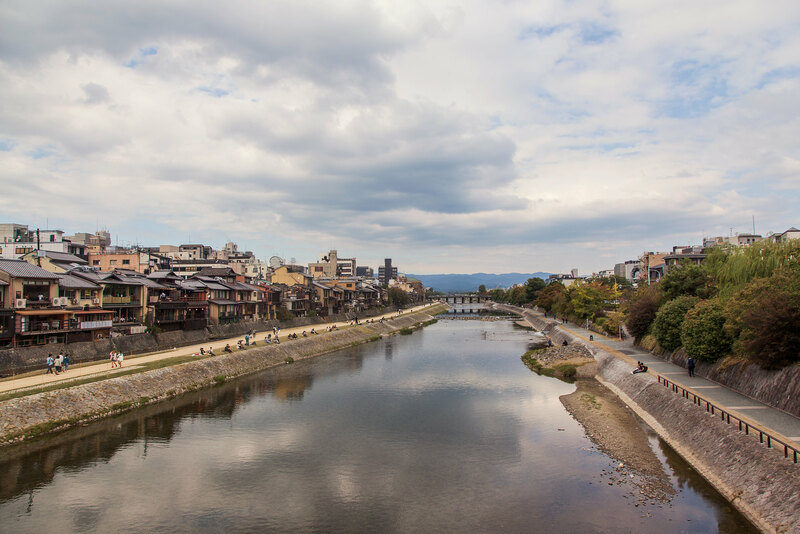 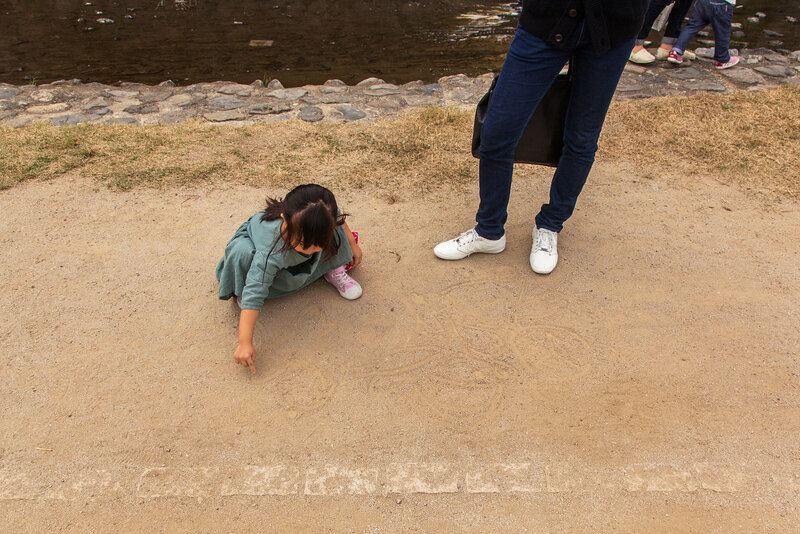 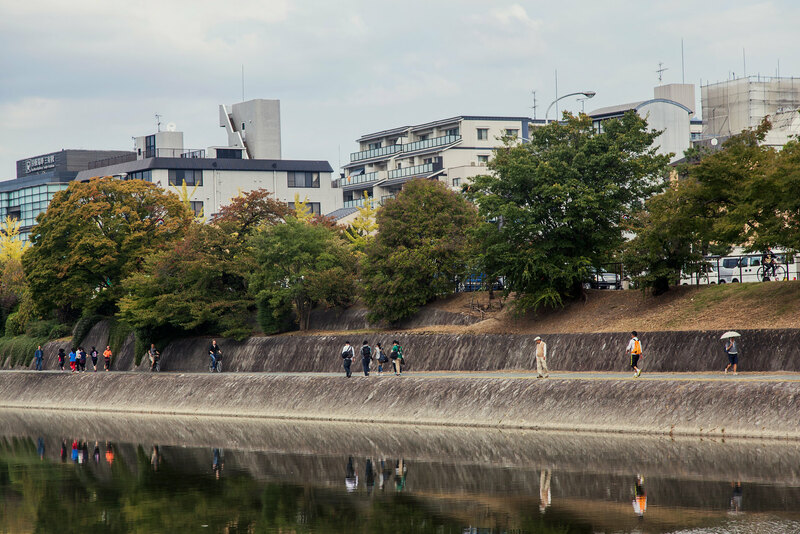 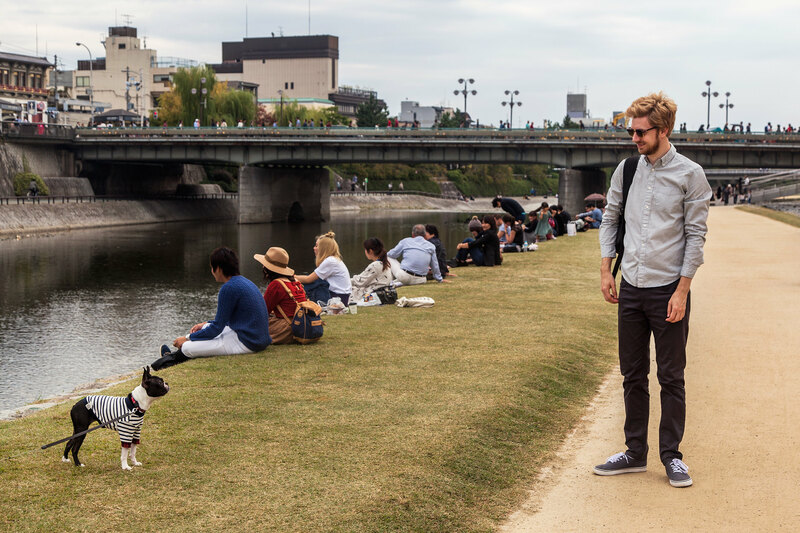 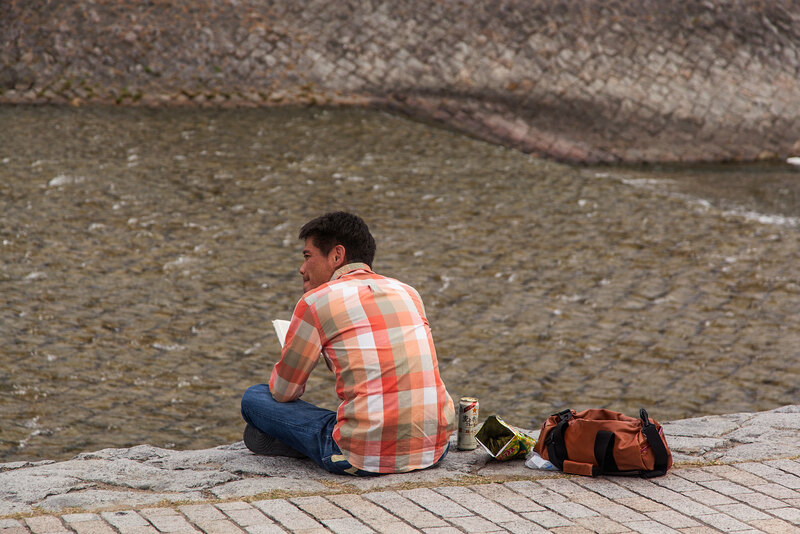 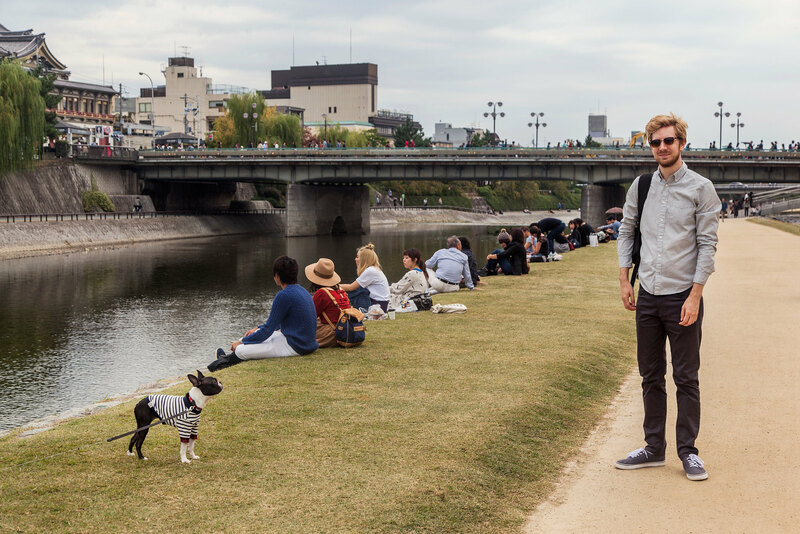 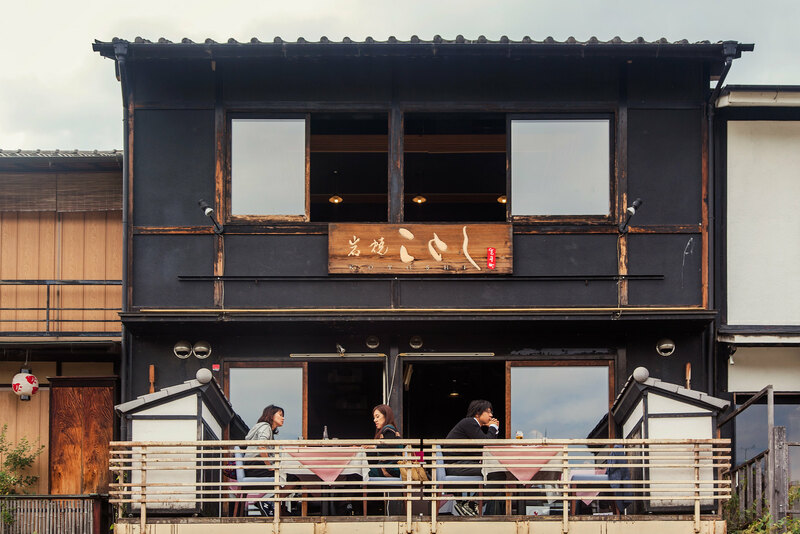 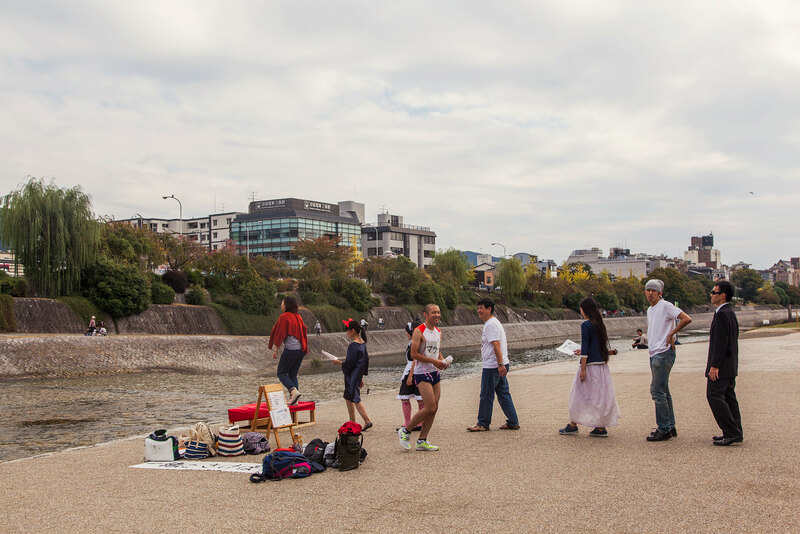 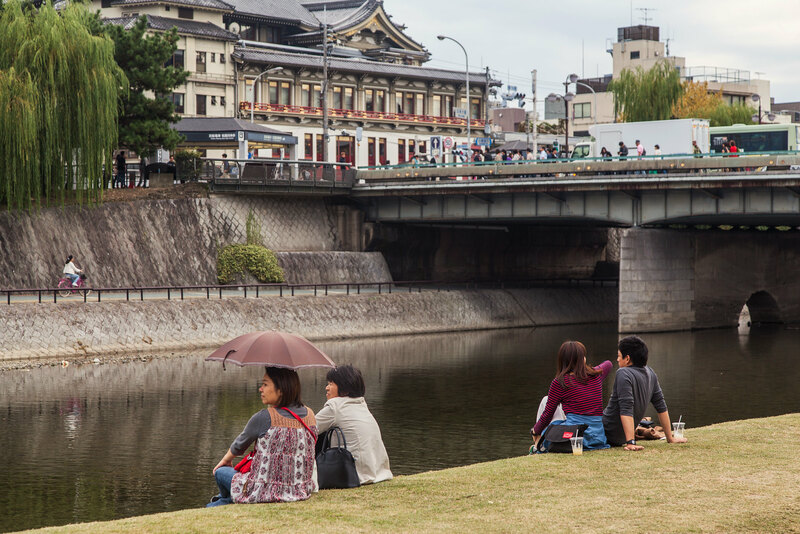 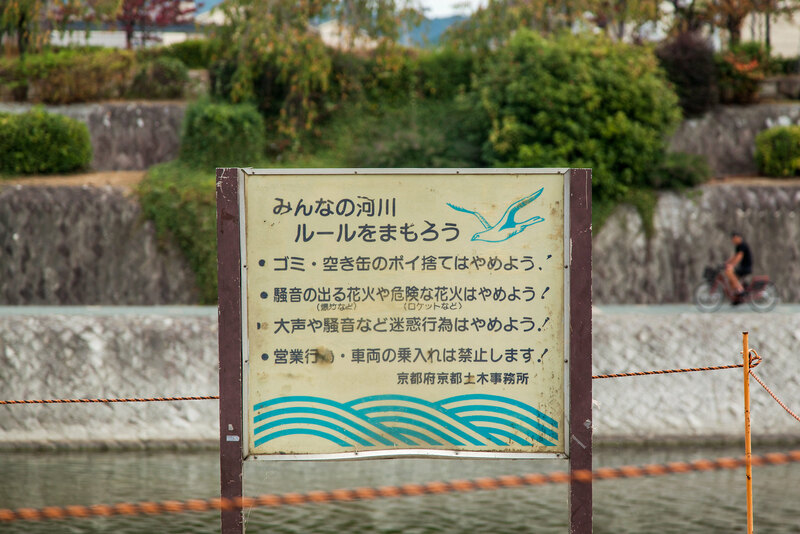 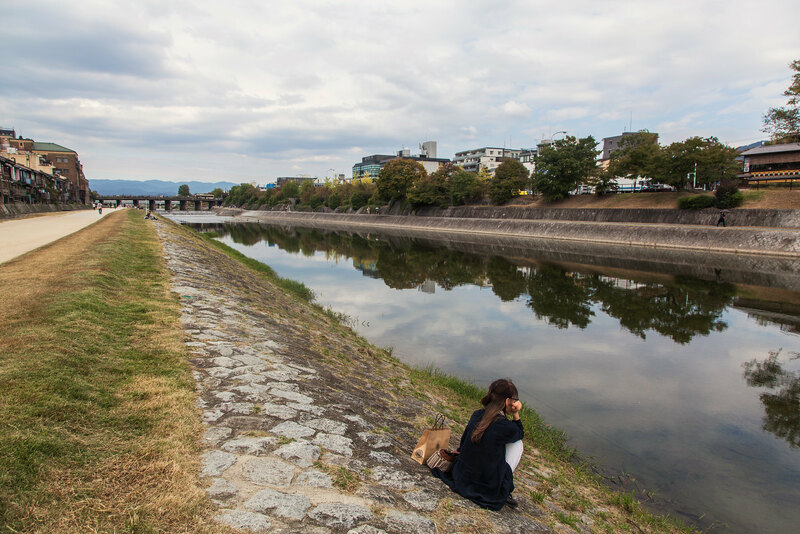 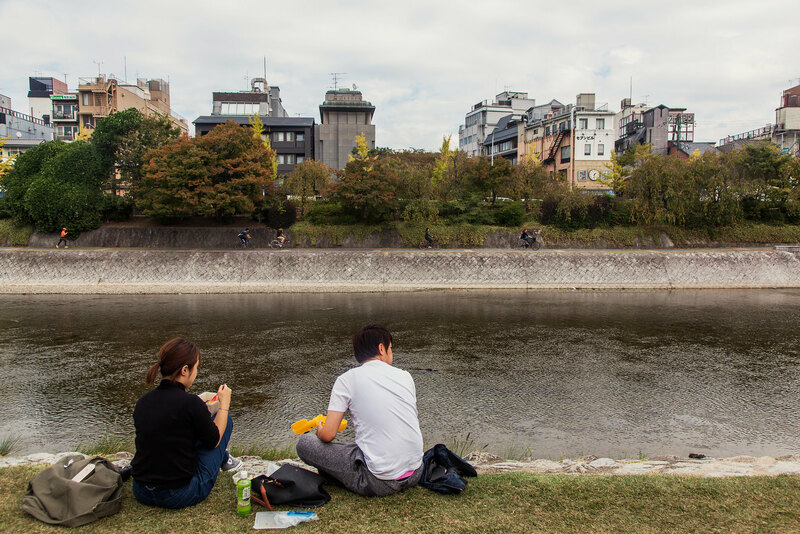 Kamo River is a favorite spot for tourists and Kyotoites alike to hang out. 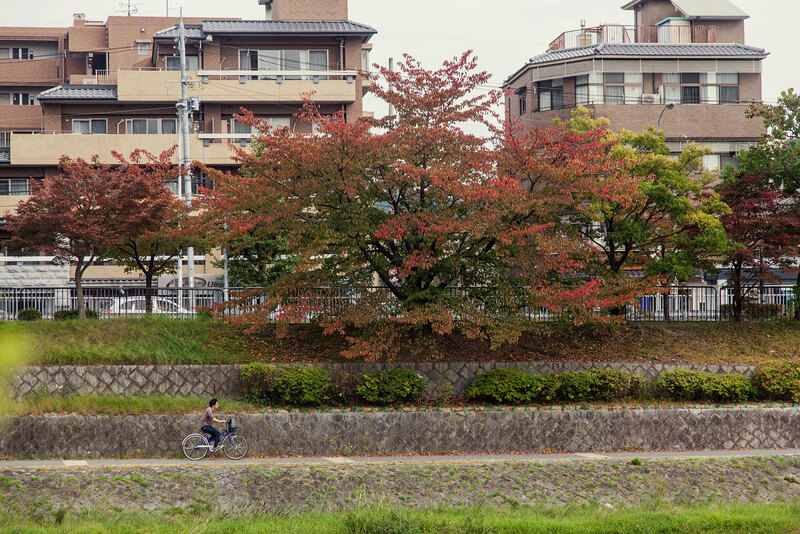 Cyclists and joggers pass by while many people sit contemplatively on the grass. 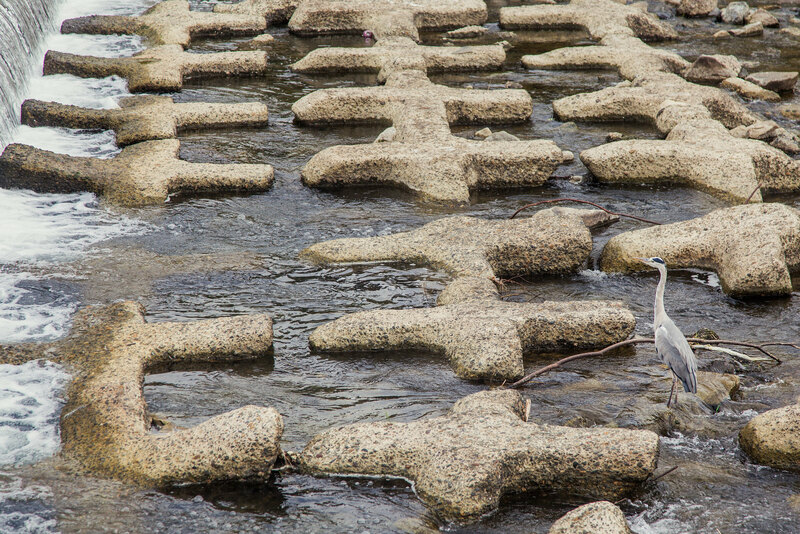 Restaurant patios face the river, and the energy of the area is very relaxed, with children noticing but reacting calmly to the sight of a heron landing on the stepping stones to find a fish. 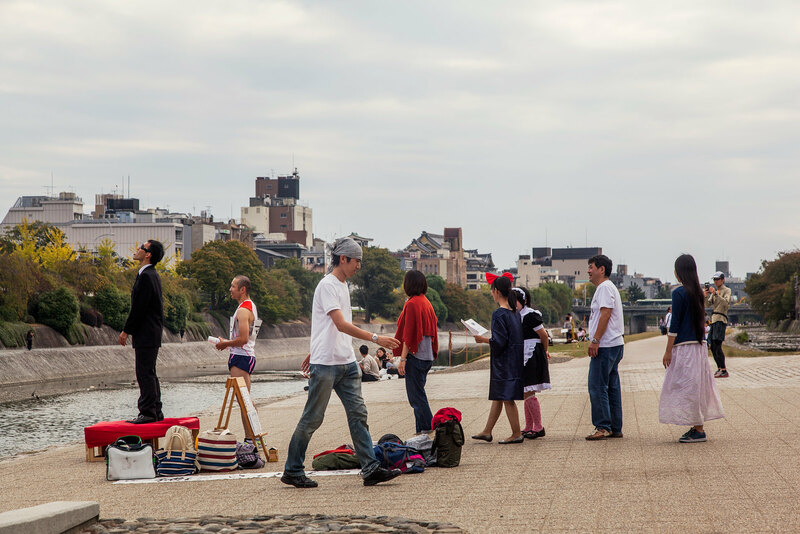 We experienced some sort of performance art happening that day where people took turns shouting what we believe to be horoscopes... even our Japanese friends were perplexed and weren't sure what to make of it but their explanation may have just been lost in translation. 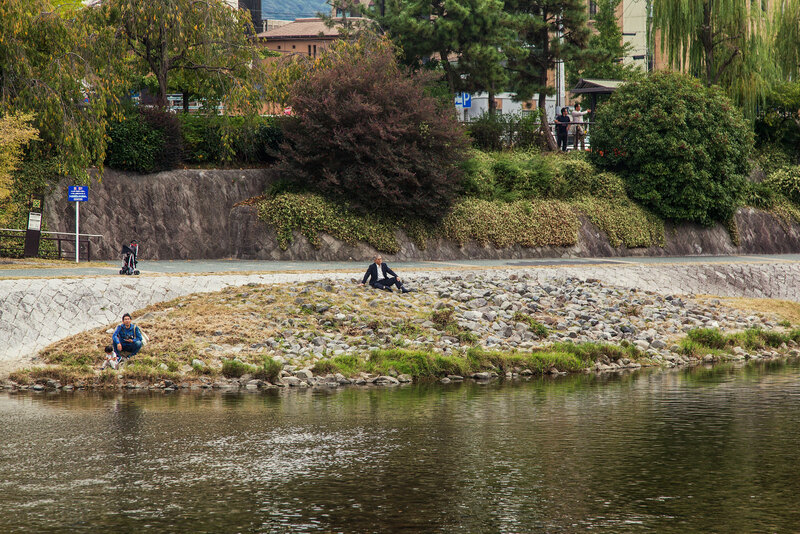 You can watch the video below to see if you can figure out what's happening.